The Represetatives for W.P.F.A is a global network of leaders representing the religious racial and ethnic diversity of endeavor. They stand on the common grouped of shared principles, committed to the path of promoting reconciliation, over coming barriers, and building peace, love and unity. One receives the peace Represetatives for W.P.F.A certificate not fundamentally as award but rather as an appointment or a commission. The certificate does not so much honor an individual for past achievement, but rather installs or appoints a person to a position that carriers new and on – going responsibilities on made at ultimately creating a world of peace foundation Africa representatives are committed to working beyond race, religion and nationality while accepting a global mission, the scope of which extends beyond the interest of any particular nation. •	Three is one God who is the creation of all and the parent of all human kind. •	The family is the central institution of all societies and is the “school of peace, love and unity” for the growth and development of all people. The world peace foundation of stable peace, love and unity is faithful and committed for peace. The WPFA is the central institution of all societies and is the “school of peace, love and unity” for the growth and development of all people. The world peace foundation is faithful and committed to peace, love and unity. •	Interrelations and international cooperation are essential to building genuine and lasting peace, love and unity. The PRS seek not only to affirm these ideals but to put them into practice beginning within their own organization and expanding into their community’s nations and ultimately the world. The W.P.F.A Represetatives are those who feel called to work to overcome barriers, build understanding and promote reconciliation. Their efforts are based on the “common ground” of shared principles (as described above. )From the local neighborhood to the “neighborhood” of nations WPFA are making a difference, person to person, heart to heart. Appointments are often leaders in the fields of religion, politics, the media, academia business, the art sport, or civil society; that is persons who have shown a consistent commitment to service and peace, love and unity making activities. The Represetatives for WPFA have also been fully introduced to the organization its founding vision and its programs and its programs and endorse the fundamental ideals and practices of the WPFA. WHAT DOES RPS FOR PEACE DO? As mentioned above, the activities of the WPFA Represetatives are carried on all four levels of society from family level to the international level. All activities are imbued with the ethic of services thus exemplifying “living for the sofa of others” many for peace, love and unity concentrate their efforts within their particular areas of specialization while also working with WPFA Represetatives initiatives and chapters won’t divide. Through all of their activities, the WPFA Represetatives work to overcome barriers that for too long divided people barriers of race, religion, ethnicity and or nationality. They participate in and provide leadership in interreligious dialogue and they foster parties which contribute to conflict prevention on all levels. 1. To inculcate a strong culture of peace that is based on none – violence and justice into our children, adolescents and adults. 2. To equip our community members with proper skills on how to resolve conflicts in peaceful ways. 3.	to empower them with skills to help them intervene in conflicts ‘cases’, which may arise among individuals, families, companies, etc. 4. To unite children with hope to provide them with strong policies of good ways to maintain peace among them – with expectations to see them extend such manners in the whole community. 5. To build more schools in the community. 6. To establish colleges / universities able to produce a well equipped personnel able to resolve peacefully conflicts within our society. 7. To further make possible the celebration of the world peace day every year that falls on 21/ September to promote the United Nations missions. 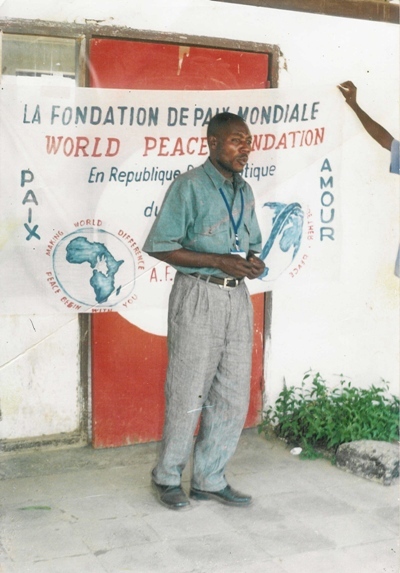 The world peace foundation Africa work for peace, love and unity of the world. •	Support the renewal and strengthening of the family as the most fundamental peace, love and unity of society. •	Encourage reconciliation and cooperation beyond traditional boundaries of region, race and ethnicity. •	Promoting peace, love and unity, “living for the sake of others.” As the essential in gradient for building a world community. Building upon the work of peace, love and unity with vision of Mahatma Gandhi, Martin Luther King, Mother Teresa, Rev Desmond Mtutu, her Majesty Queen Noor of Jordon, Dalai Lama, Daniel Simon, Kimbangu Masaisa Goie and John Mukuta, Muhiana Daniel, Elisberg and other unarmed peace workers. Educator’s symposium and exchange program: Creating a culture of peace through education. In the 20th century, parents, teachers and society were the educators of children and the children were always in the position of being thought. In the 21st century, adults shall learn from the wonderful qualifies of children, such as their purity, innocence, radiace, wisdom and intuition, to inspire and uplift one another. 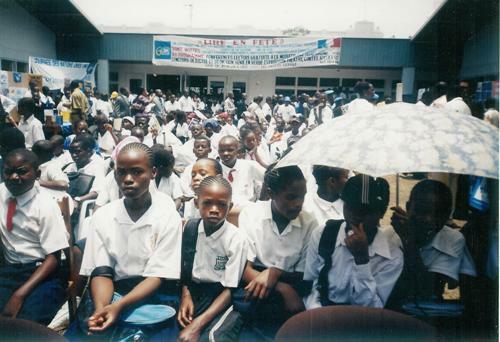 The young generation shall play a leading role in the creation of peace, love and unity for a bright future. We shall create a world based on peace, love and unity in which all forms of life are respected. In the new area, humanity shall advance toward a world of harmony that is a world in which every individual and every nation can freely express their individual qualities, while living in peace, love and unity with one another and with all “life on earth to realize this vision.” We set forth the following guiding principle. Training session on youth leadership skills, the methodology artist of peace and peace maker. Construction schools of peace IMALU peace schools of peace. WPFA internet café for connection youth world wide to pricing peace, love and unity. innovative methods and the use of new media technologies in connecting youth from different parts and reach out to connect marginalized youth from different culture and religious back grounds are encouraged. Amplifying youth voice in the media. Youth leadership training for peaceful dialogue. Intercultural or interfaith exchanges with strong learning elements. Raise awareness about the urgent need for a culture of peace and non- violence as a conflict prevention strategy. Build a world in which peace, love and unity prevail. Encourage youth to think of and develop alternatives to violence. Empower youth to better synergize their initiatives for peace, love and unity. Develop a youth platform for the UN decade for a culture of peace and non – violence for the children of the world. LUNGOJI centre for peace, good governance and human rights. 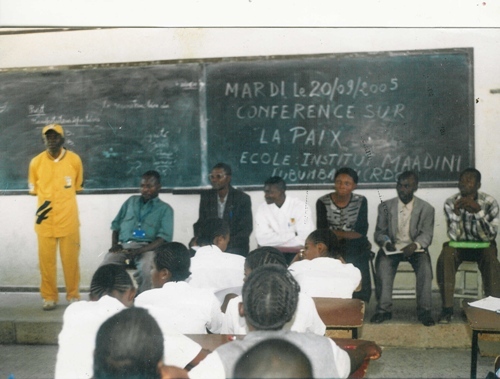 Holding true to its mission, the peace centre participates in a number of training activities that engage the community in methods and techniques of conflict transformation. In addition, by drawing from peace.ca” problem posing education,” the inquiry analysis and reflection from the participates, knowledge, experiences and perspectives provide the rich source of our transitive learning. These programmes include practical trainings and seminars as well as certified educational programmes for three or nine months. 21ST SEPTEMBER CELEBRATION FOR INTERNATIONAL DAY PEACE. 21st September international day of peace. This is the vision behind the United Nations resolution for an international day of peace. Building peace one day at a time. Will be observed by thousands of religious and spiritual communities in churches, temple, mosques, public parks and private homes around the global in support of the United Nations. International day of peace and global ceasefire. In 1981, the United Nations general assembly established the international day of peace (IDP) and seven years ago modified the resolution and fixed September 21st as the annual date of the IPP. This is the vision behind the United Nations resolution for an international DAY OF PEACE. MESSENGERS OF PEACE AND GOOD GOVERNANCE TRAINING. Held twice yearly, focusing on people in positions of leadership, decision – making and governance who can accelerate non violent conflict transformation ( ) participates from different focus groups attend 3 – week training. The focus group in January is 2010 is church based development organizations in July 2010, the training will focus on 50 leaders of vulnerable and disabled groups in civil society and government. 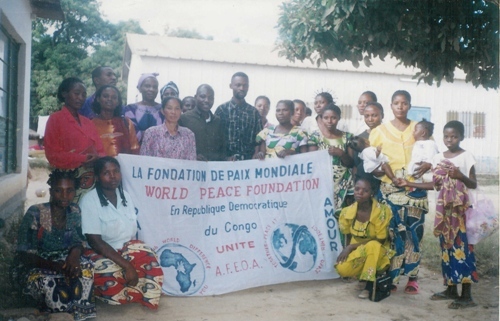 Members of the world peace foundations Africa and the people of the world and the whole members of peace maker with creation and preaching of peace, love and unity. + Reaching millions of people organizations schools children’s or why we must work for the peaces love and unity protect the environments and the eliminations of nuclear weapons? + Staying focused on the success plain deliverable and has the a processes to prevents being bid traccked by the contact flow of many “new projects “that fragments many organizations ? + Helping students to have leadership experience which can save lives? Make available nationally the best peaceful 21st century critical thinking high schools leaderships educational and training.